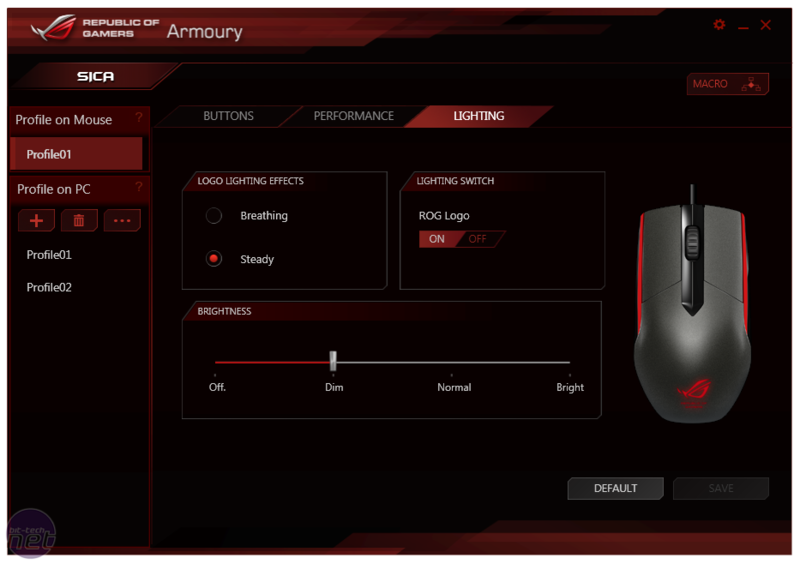 While entry-level is rarely a term that can be levelled at an Asus ROG product, the Sica mouse is exactly that, at least relative to the other two ROG mice – the previously released Gladius and the imminent Spatha. 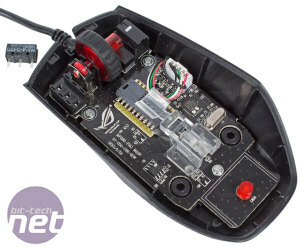 Its relatively low suggested price tag of £30 starts to seem a little high when you realise the Sica has just three buttons, but it is specifically targeting the MOBA crowd, who Asus believes has no need for extras – it has even sought the expertise of League of Legends pros Taipei Assassins in designing it. 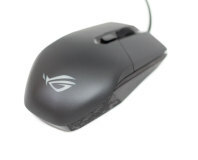 The ambidextrous design would also render thumb buttons, for example, somewhat self-defeating, but the SteelSeries Kana mice manage to incorporate additional buttons into a design that's just as left hand friendly. 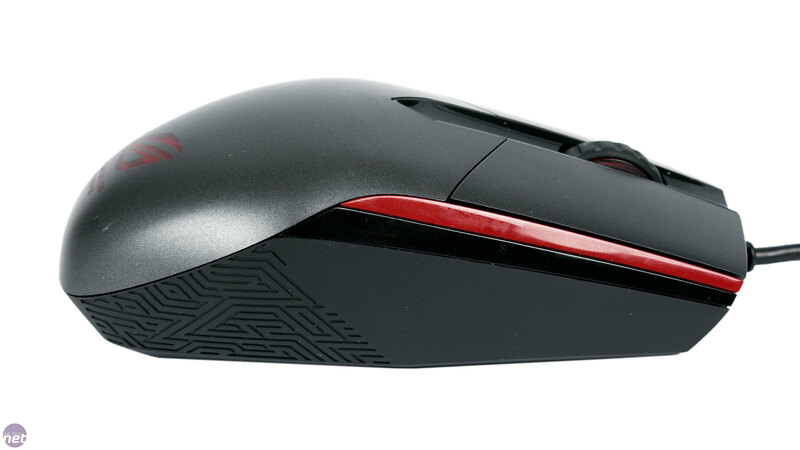 The Sica is smart-looking and minimalist with the standard red, black and grey colour scheme applied throughout, and the rear logo is backlit by a red LED too. 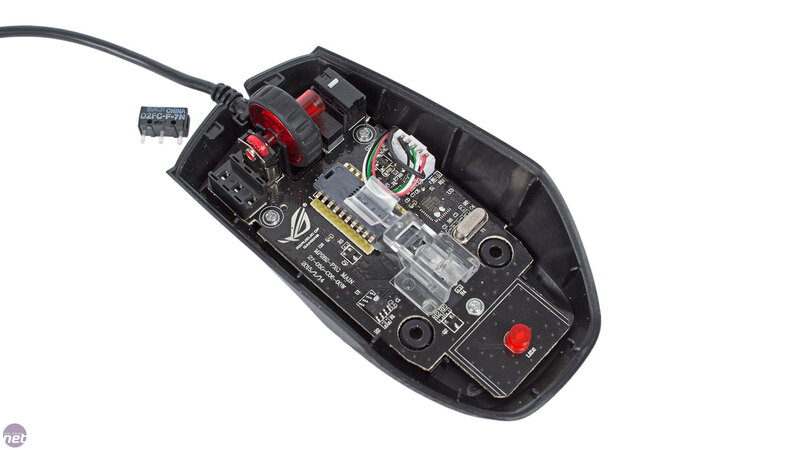 Despite being light, the Sica has exceptionally high build quality and a very solid body. Unlike the Gladius, the 2m rubber USB cable is captive – you don't get a choice between rubber and braided, nor do you get any replacement switches or feet. That said, quality in those areas hasn't been lost – there are three decently sized Teflon feet and Omron switches beneath the two main clickers. These switches are socketed and easily replaceable if you want to alter the click action – simply remove the two rubber plugs on the bottom and slide off the body to gain access. 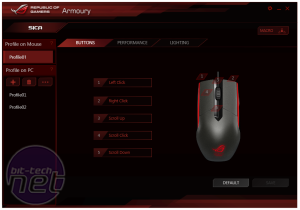 As with the Gladius, the left and right buttons are separate from the main body, which Asus says gives them lower travel and improved responsiveness. The effect is subtle, but it is appreciated; there's a very pleasing tactile feedback and it's easy to click repeatedly with pace. The experience with the scroll wheel is mostly positive too – there's a very slight wobble in between steps, but the steps themselves are nicely defined and the click action is lovely. The Sica is said to be optimised for fingertip grips, but we found it worked just as well with a claw grip too, thanks to the back's fairly sharp arch. 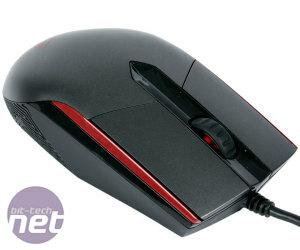 Palm grippers will want a mouse with a fuller body. One oddity is the Mayan style, textured side sections, which are so far back on the body as to be practically useless for most people. 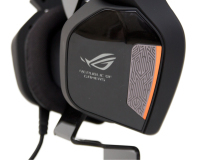 There's little reason Asus couldn't have extended these forwards, but thankfully the Sica isn't too slippery anyway. 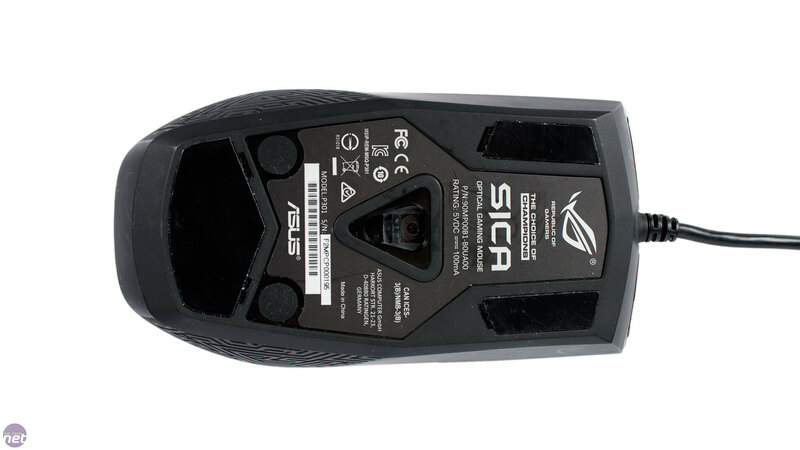 The Sica is customised using the ROG Armoury software and has flash memory capable of storing one profile – we tested it across PCs and custom functions were indeed maintained and executed flawlessly. 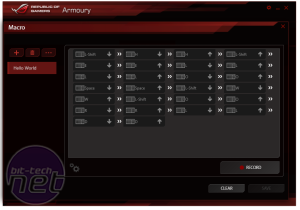 All five functions (including scroll up/down) can be remapped to basic mouse, keyboard, media and Windows shortcuts as well as macros, with the macro editor capable of recording all available mouse functions too. You also get a basic level of control over the rear lighting. 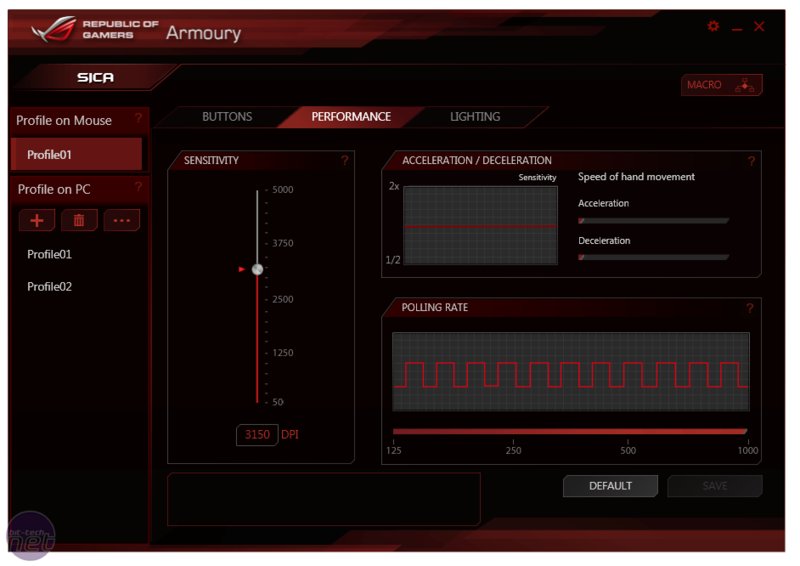 For the most part, the Armoury interface is very intuitive, although the macro editor could be a little clearer. It's also worth noting that macro execution is limited to one playback per click, and there's no on-the-fly switching available for profiles or DPI levels. 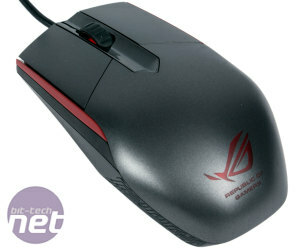 Asus has here deployed the PixArt PWM3310 5,000 DPI optical sensor, the same as used in the company's Strix Claw. 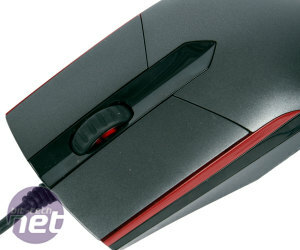 Using the software, the sensitivity can go as low as 50 DPI and be adjusted in 50 DPI increments. 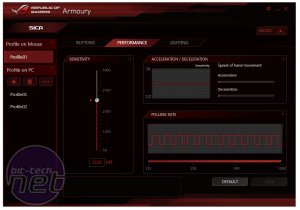 You can also tweak acceleration and deceleration should you wish, as well as the polling rate (up to 1,000Hz). 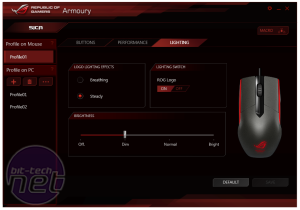 The actual performance, at least when using a half-decent mouse mat, is excellent across the DPI range, with smooth, one-to-one tracking and no detectable acceleration or jitter issues – it's truly an excellent sensor. The Sica is light and nimble in use, so your hands do not tire easily, and we didn't have any problems with sweat or stickiness over long sessions either. If we had to make a complaint it would be that there's a touch more friction in movements than we'd like – it's hardly noticeable, and not a detriment to performance, but perhaps slightly thicker feet would have helped. 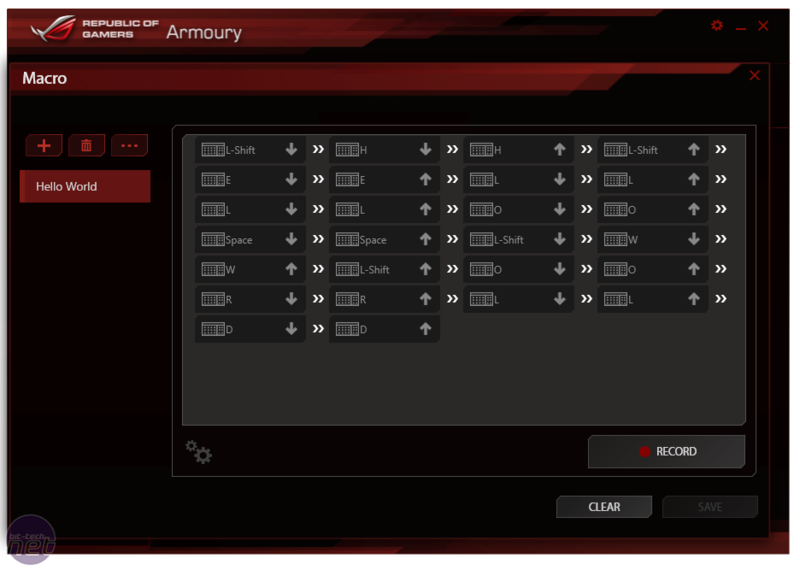 The three button design means anyone looking to do some major button remapping will need to look elsewhere. 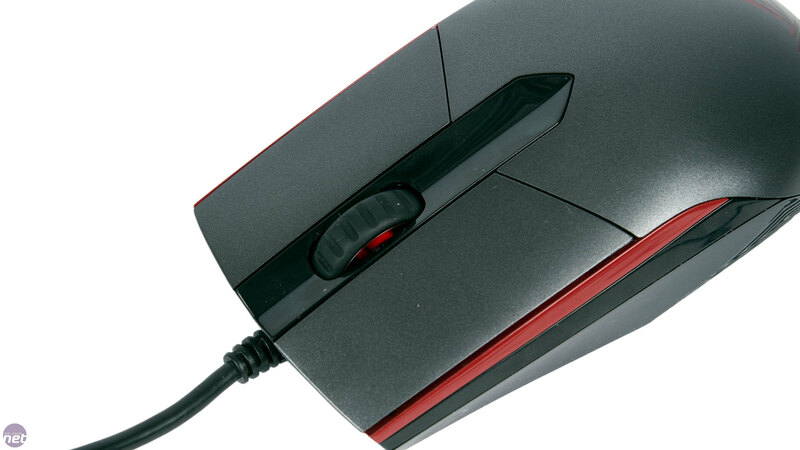 Personally, we've become used to having functions assigned to the thumb buttons in games, and the ability to switch DPI on-the-fly is also helpful in our workflow when changing to applications that require a bit of finesse like Photoshop – we missed these abilities when using the Sica. 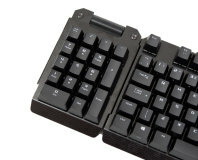 That said, the target audience is the MOBA crowd, and such games tend to be keyboard-heavy. 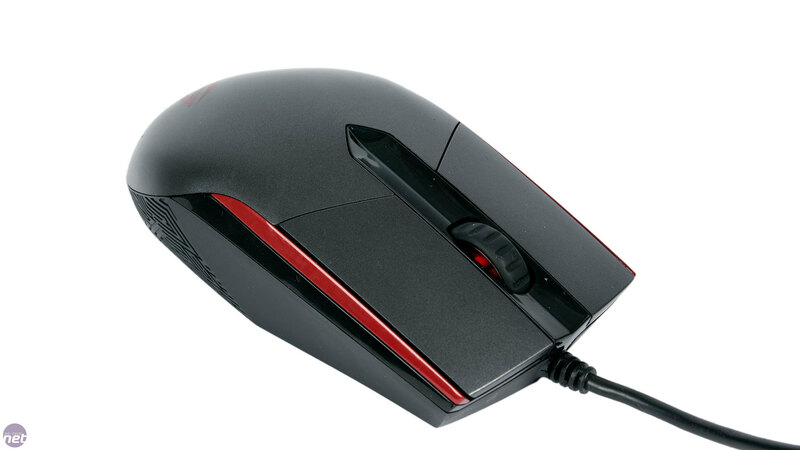 Equally, we do know regular MOBA players who rely on thumb buttons too, so as with any mouse it really comes down to your preference and play-style. 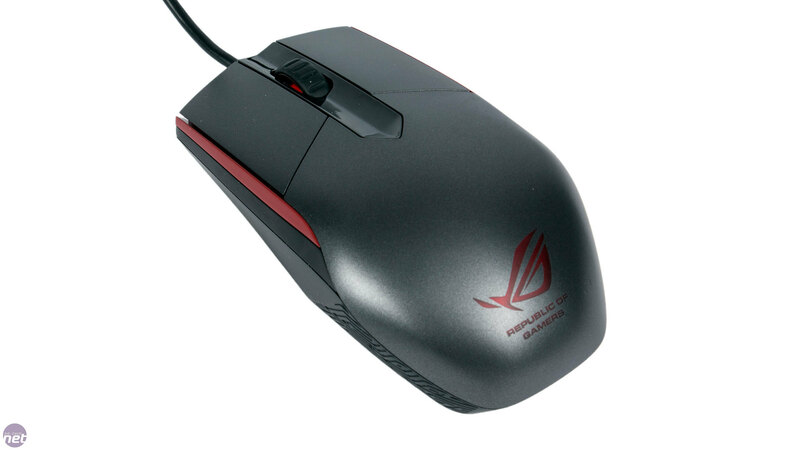 At first glance, the ROG Sica seems simple and as a result, overly expensive. 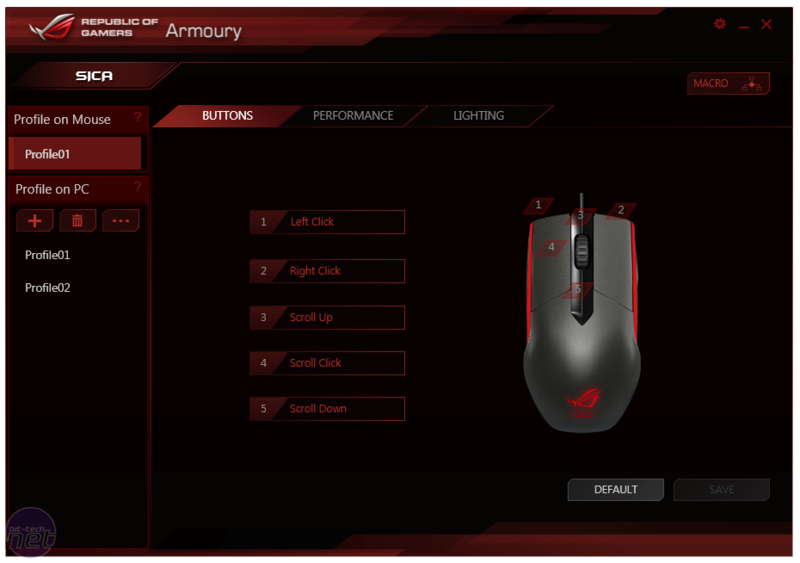 However, the quality the ROG brand has become known for does come through – the build is first class, and the sensor and switches are premium quality too. It's never going to satisfy multi-profile, macro wielding maniacs, but it was never designed to. You can't please everyone in this market, and we appreciate designs that stay focussed. The Sica certainly does that – if it was much more than £30, we'd give it a miss, but if three buttons is all you need you won't find much better than this.